I couldn’t hold back any longer. I had to send a note to inquire about your plans for continued ministry in biblical counseling. I read your blog post “My Farewell Sermon.” Many of us are praying that this transition from your long-term pastoral ministry will not affect the role you have in biblical counseling. I understand if plans for the future cannot be announced yet, but I want you to know what an impact you have had on my life and on so many others whom I know. God in His grace brought me to repentance and faith at the age of forty. He instilled in me an unquenchable thirst to study His Word and live in obedience to it through the Holy Spirit’s enabling. As I studied Scripture and began to understand progressive sanctification and that Scripture tells us; “His divine power has given us everything we need for life and godliness…” (2 Peter 1:3). I went to the Scriptures for answers to my life’s challenges and found them. It was then that God gave me a desire to help others understand the same wisdom He was giving to me and, consequently, He began to put people into my life whom I could help. I had not read your books at this time, but now wish I had. In my desire to walk an obedient life amidst the pull of the world, I pursued a Master of Theology degree at Northwestern College in St. Paul. I graduated and was still active in my old church encouraging and training fourteen women’s small group leaders in the truth of His Word. Even though I was helping women live out the truth of the Scriptures by going to the Word for answers, my counsel was met with resistance by the church I was attending at the time. I also saw that at many times people were sent outside the church for help—help which I knew could come from God’s Word. Clearly, God gave warning to us through Jeremiah: “Cursed is the man who trusts in mankind and makes flesh his strength, and whose heart turns away from the Lord” (Jer 17:5). I started to search for answers myself. It was then that I heard about your books and bought, Counsel One Another and Counsel Your Flock. When the books arrived I spent several days devouring every word of Counsel One Another…three times! I was so excited to read and be confirmed in my conviction that the Scriptures give us everything we need for life and godliness (2 Peter 1:3) and that believers need to help each other through the Word, through intensely focused and personal “one-another” ministry and counseling. Your book radically changed my life! Two years ago Counsel One Another put a name to the ministry God had me doing; biblical counseling. Once I finished reading the book Counsel One Another I wrote to you. I was so excited to finally have a resource to consult and I needed to know more about this thing you like to call “authentic biblical counseling.” You helped me answer many of my questions. Your blog also directed me towards excellent biblical counseling resources and to ACBC (formerly NANC), The Biblical Counseling Coalition, as well as to women who lived near me who are active in biblical counseling. Despite many obstacles since our ongoing correspondence began (there are too many to list here) God grew me and continues to as I seek, through the Holy Spirit, to minister His Word to others. The impact of your ministry continues to this day. 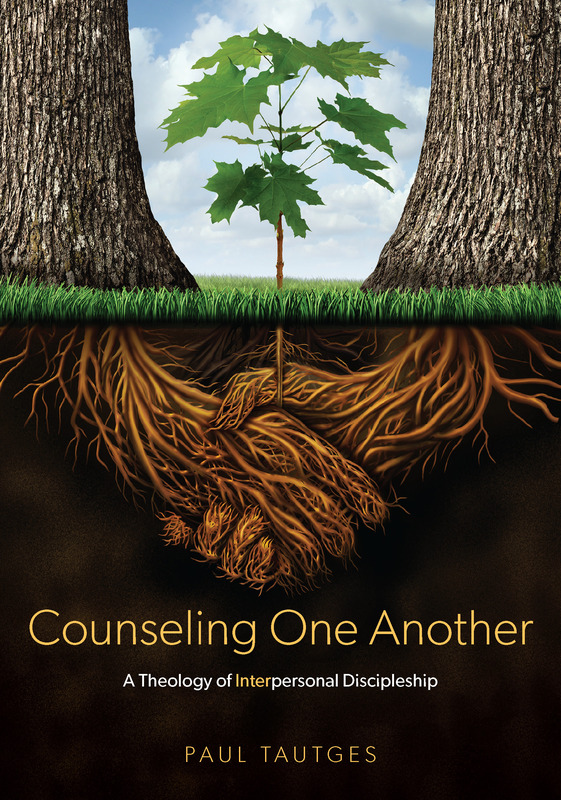 I am actively working on a second Masters in Biblical Counseling at Faith Bible Seminary and, God willing, will be a certified ACBC counselor sometime this year. God has enabled me to counsel women at our new church home as well as do marriage counseling with our pastor, a biblically sound God-fearing man who believes targeted discipleship (biblical counseling) is the role of his gospel-saturated local church. He is now focused on moving our church towards being a church of counselors as well as having a counseling ministry. He knows that making disciples is not only about evangelism, but it is also about teaching believers to observe all that Jesus commanded us…and we do this by coming alongside believers to help them live out their position in Christ when sin or suffering dims the truth of the gospel. By the way, I also gave him your book, Counsel Your Flock. To God be the glory as we are seeing Jesus Christ build His church! Several elders, pastors, and lay people plan to attend the training for biblical counseling scheduled here in Minneapolis in March, April, and May (Faith Biblical Counseling Ministries) and the church plans to budget for biblical counseling and training this year. All this to say, THANK YOU. God has worked through you, your blog, your teaching, your sermons, and your book. He has used your ministry to move this sinner, saved only by His grace, to humbly help other believers conquer their personal problems God’s way and to assist a gospel-focused church to do the same. I have no doubt that God will continue to use you for His glory. I pray He allows you to do this in biblical counseling as you continue to have a huge impact on my life, others I know, as well as the lives of those who are counseled biblically. We are so very grateful and will be praying for you and your family as the Lord directs your steps.